Gretchen began her work with older adults as a Social Worker in the early 1970s. 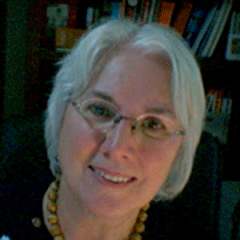 Presently, she serves as Publisher and CEO of ElderThink.com. She is a former entrepreneur, retiring after nearly 40 years of business management. She has developed and managed businesses in computer retailing, steel distribution, environmental testing and back office outsourcing. Currently, she is focusing her marketing knowledge and intuition on the issues of aging. Gretchen is a dynamic and entertaining public speaker. She believes that there are many unexplored dimensions of growing older and she is an outspoken advocate for the intelligence, wisdom and spirituality of older people. "We are living longer and healthier than ever before," she says. "Our population is growing rapidly. We are not disappearing." Currently she is a member of FORSA Leasership Council (Forum on Religion, Spirituality and Aging) for the Amercian Society on Aging. She has alse served as Co-Chair of the Boulder County Aging Advisory Council, as a member of the Vestry of St. Stephen's Episcopal Church in Longmont, Colorado and on the Board of the Longmont Rotary. Gretchen is an Elder and is married to one. She is between the ages of "60 and 100." There is a pond near my house. In summer, there is tall grass and Chokecherry along the path from the parking area. Someone has put a bench at the edge of the water and I can often be alone there. In July, 2007, after a difficult and busy time, I found my way to this restful place. As I relaxed on the bench, sounds of nearby traffic seemed to recede and I could hear the life all around me; a noisy frog, bees, a Thrush. A pair of Mallards drifted in the shade on the other side of the pond. I became aware of my breath and my pulse. I felt that I was part of all that my senses brought me. I picked up a smooth grey stone, warm from the sun. Leaning a little, I dropped it into the pond and watched the ripples spread. At that moment, ElderThink was born. It has grown in my mind and heart every day. It has been created for everyone. When we find ourselves growing old, a part of us feels despair. There is another way. Follow the path. Explore ElderThink. The answer is there for you to find.